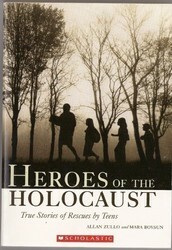 This book is a collection of stories from survivors who helped other people survive the Holocaust. Some are points of views from Jews who helped other Jews while they were avoiding being caught. Most are from people who were not Jewish and hid Jews because they thought that they would never get caught. There is a story about a Dane who helps people by shipping them across a river to Sweden and how he joined and works for the group. One of the stories is about a girl who tried to flee to England but the ships couldn't take them across the channel, so she worked for the underground delivering a variety of things. The underground thought that the Nazis wouldn't suspect a teenage girl delivering items for them. 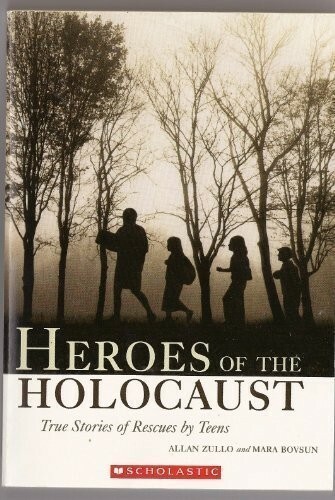 Another story is about how a family hides two Jews in Poland and the challenges they faced, and how the Jews the family hid came back to help the family in the future. Non-Jews, or people not being prosecuted or chased, would do whatever it took to save Jews. Nazis would do almost anything to keep the truth about what they were doing from getting out. You would like this book if you like to read books that seem like they are fiction but are really non-fiction.